The KRIEGER D3O® is a modern day technical Chainsaw Boot offering the wearer class 2 chainsaw protection (24m/s) along with the requirements of EN ISO 20345:07 Safety Boot. 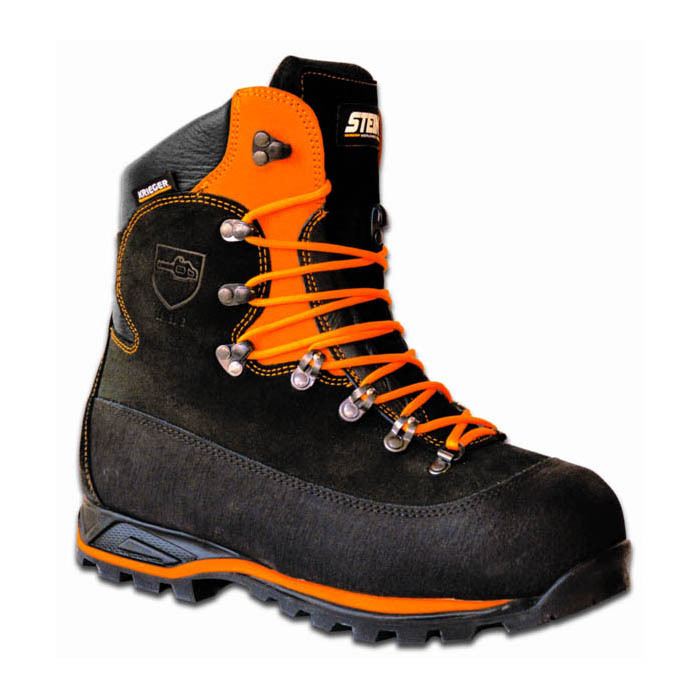 Added protection is provided to the lower boot by means of the 360 degree rand providing extra protection to the leather from knocks and scrapes. To benefit fully from the VIBRAM® technology the KRIEGER® is equipped with D3O® Decell technology in the CUSHIONING in-sole which is designed to absorb negative impact forces, reducing stress to your lower limbs and exploiting the energy used during activity.